Thank you to members and guests who joined us at Hever Resort Hotel today. Thank you to Lee, Catherine and the Team for hosting a fantastic event, in lovely surroundings with a superb spread! Hever Resort Hotel is available for leisure & corporate stays, weddings, conferences and social events. They are working towards becoming a “Destination Resort” in the near future and will be a adding a luxury spa and extra leisure facilities to the Hotel. The hotel will be launching a very innovative campaign in mid-December to raise money and people’s awareness of Brain Cancer and Brain Cancer in Children through the hotel’s chosen charity The Silas Pullen Fund. Entry into the competition will be via Eventbrite and the cost is only £10. Entries will be accepted from 13th January and close end of February with the lucky winner being announced on 1st March. We also raised £31.00 in the business card draw for The Silas Pullen Fund. Congratulations to Paul Rainbow from Troman Finance who won a complimentary overnight stay at the hotel with dinner, bed and breakfast – lucky man! 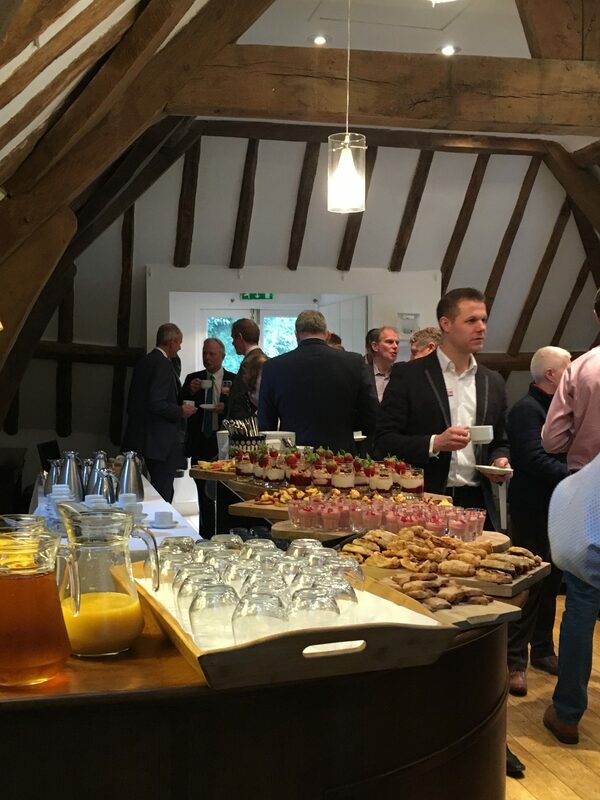 Our next Westerham Wednesday networking meeting will be on January 23rd and will be held at Valence School.